13 December 2016. Concert with project ‘Aurora’ at Cafe Central, Borgval 14, 1000 Brussels (BE). Link website. FB event. Curated by Some Noise. Free entrance. Start 21h. 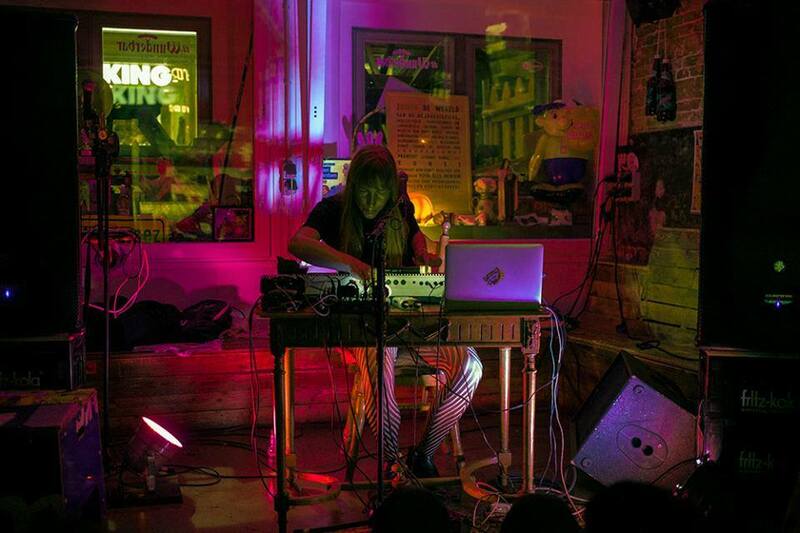 Janneke van der Putten will play her project Aurora, which encompasses hypnotic noise, keyboard, field recordings and dream-songs, also described as “Breathtakingly beautiful and eerie stuff which forms a very intense listening experience.”. 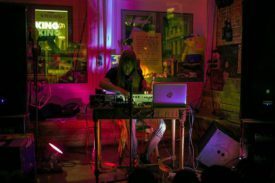 She forms the duo ‘Invisible Architecture’ with Chrs Galarreta, for which they published a 12″ in 2014, presenting at institutions as Museo de Arte Contemporáneo, Lima, and at underground venues as Villa K, The Hague. She is part of collective Aloardi (Peru), who run an artist-in-residency and platform for experimental music and media arts since 1998. The Rotterdam-based artist and singer exhibited with solo show ‘All Begins With A’ at TENT in 2015, and curated the Aloardi Exchange Programme 2016 in collaboration with amongst others WORM. Van der Putten is currently working on a commission by CBK Rotterdam (Centre for Visual Arts Rotterdam), developing an audiovisual performance with recorded material from her archive and using her voice as main instrument.